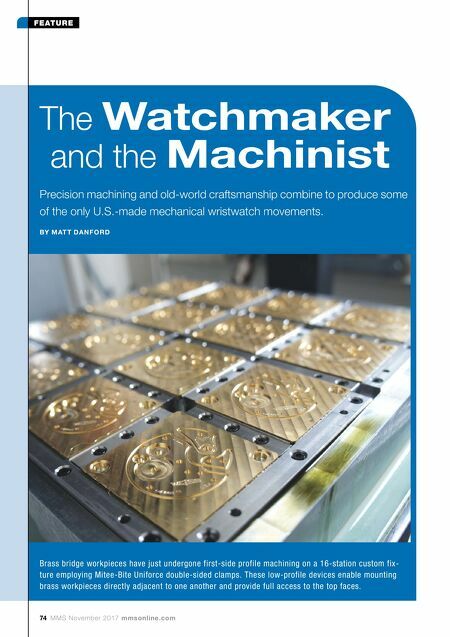 74 MMS November 2017 mmsonline.com FEATURE The Watchmaker and the Machinist Precision machining and old-world craftsmanship combine to produce some of the only U.S.-made mechanical wristwatch movements. BY M AT T DA N FO R D Brass bridge workpieces have just undergone first-side profile machining on a 16-station custom fix- ture employing Mitee-Bite Uniforce double-sided clamps. 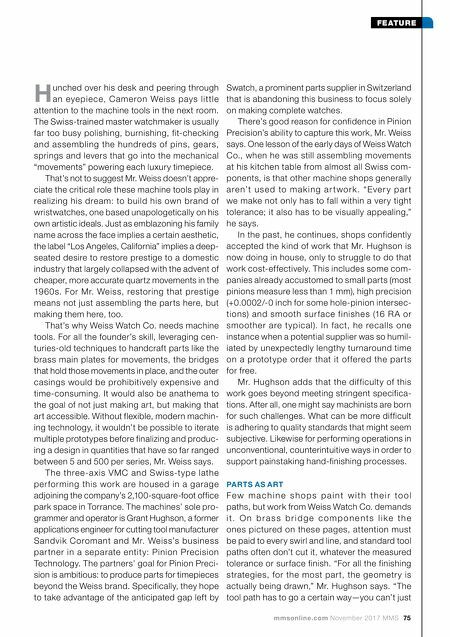 These low-profile devices enable mounting brass workpieces directly adjacent to one another and provide full access to the top faces.